The Capital City to the Sea Trails (CC2ST) is envisioned to be a series of trails that will connect various regions of Leon County and Wakulla County and in the future Franklin, Gadsden, and Jefferson Counties. These trails are not defined for specific users but instead will provide transportation options to allow the movement of citizens in these counties by means other than motorized vehicle. 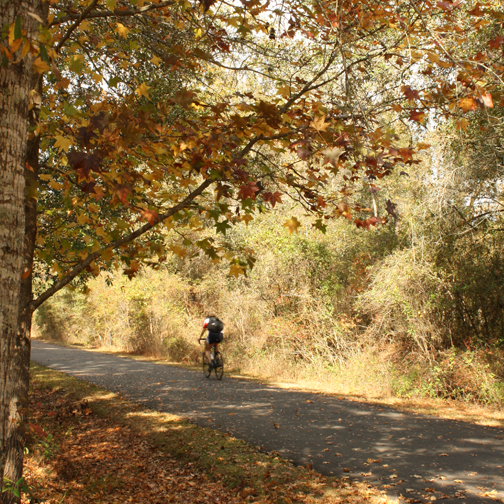 Some of the existing Trails that make up this system include the Tallahassee-St. Marks Historic Railroad State Trail (Leon County and Wakulla County) and the Ochlockonee Bay Bike Trail (Wakulla County). CC2ST was initiated by a Leon County Commissioner and Wakulla County Commissioner. At this time a “Master Plan” is under development. This document will pull together all trail systems in the study area to determine where the existing trails are located as well as all future trails for various organizations at the local, state and federal levels. These trails could be at various stages of study and will fall under the collective Capital City to the Sea Trails document to provide to citizens and officials (at all levels) for funding and support efforts. The Master Plan will provide guidance for funding and programming, and will also set the stage for funding partnerships at the local, state, and federal levels as well as private partnerships. It is difficult to say at this time how many miles of trails will be under the Capital City to the Sea Trails umbrella. After the Master Plan is completed, a Project Development and Environment (PD&E) Study will begin to implement the results of the Master Plan.